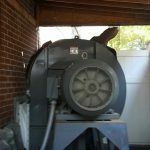 Expedited Fan Replacement Parts & Service | AirPro Fan & Blower Co. When you need help with fan retrofit, parts, fan repair or even replacement, you are likely to need answers fast. We have application engineers ready to take your call, chat, contact form or email to help assess address your issue. If you are in one of those most urgent situations, we have expedited service to get you up and running asap. Please jump to our expedited service page to raise that flag. 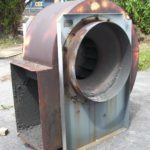 If your need is less urgent – maybe it’s preventative, or just a “squeaky wheel” – the first step is to confirm whether you need fan retrofit, repair of parts with remaining useful life, or a more comprehensive replacement. Are you experiencing an unexpected fan failure? 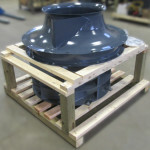 AirPro can build expedited fan replacement parts to get you back up and running in 1 week or less. Do you need a replacement fan that plugs into the same spot? 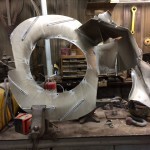 AirPro can provide custom dimensions to reduce your installation costs. 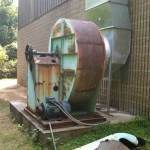 Has your fan wheel/impeller failed or worn out after 6 months of service? 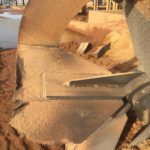 Are you experiencing excessive corrosion rates? Would you like to increase the service life for your replacement wheel? 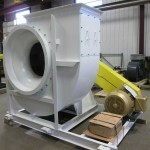 AirPro can provide an alternate alloy to increase your fan’s life. 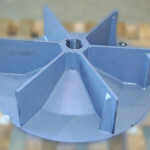 AirPro can build your fan replacement parts! AirPro provides dynamically balanced replacement wheels/impellers for AirPro and most other brands (Champion Blower, Garden City Fan, International Industrial Fans, Bayley Fans, etc.). Usually, we beat the competition in quotation response time, price, and lead time. 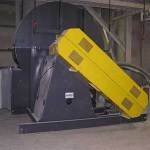 AirPro provides both on-site and factory-direct repair options. AirPro technicians are available to inspect and service your fans on-site to greatly reduce expensive down-time. 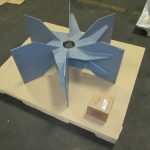 If you require a complete fan or fan wheel replacement, AirPro, with a successful record of providing expedited repairs within customer time constraints, can do the job. Request an AirPro quote today. We may have a better solution for you.